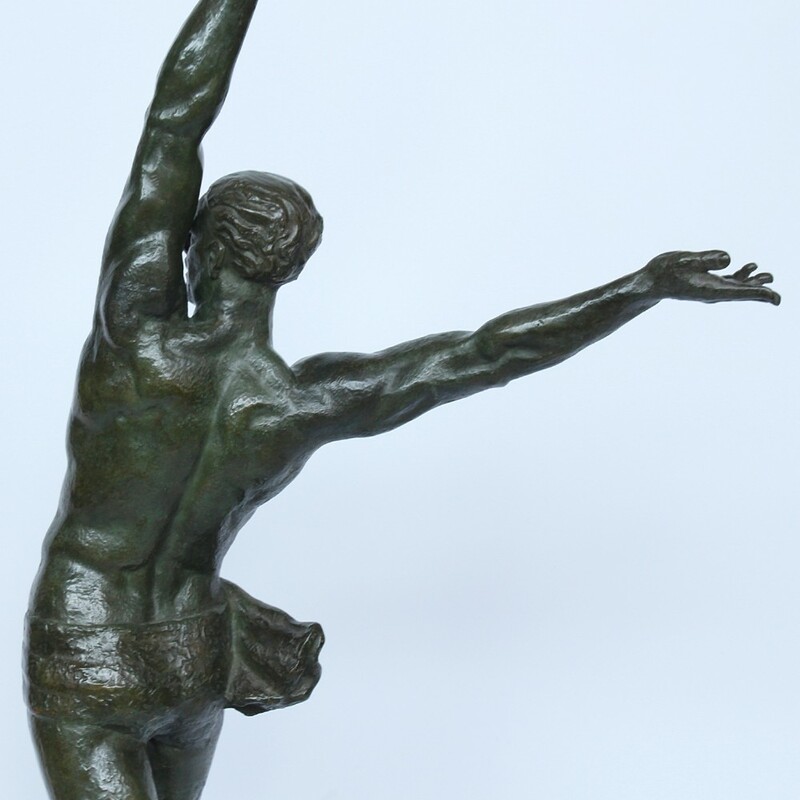 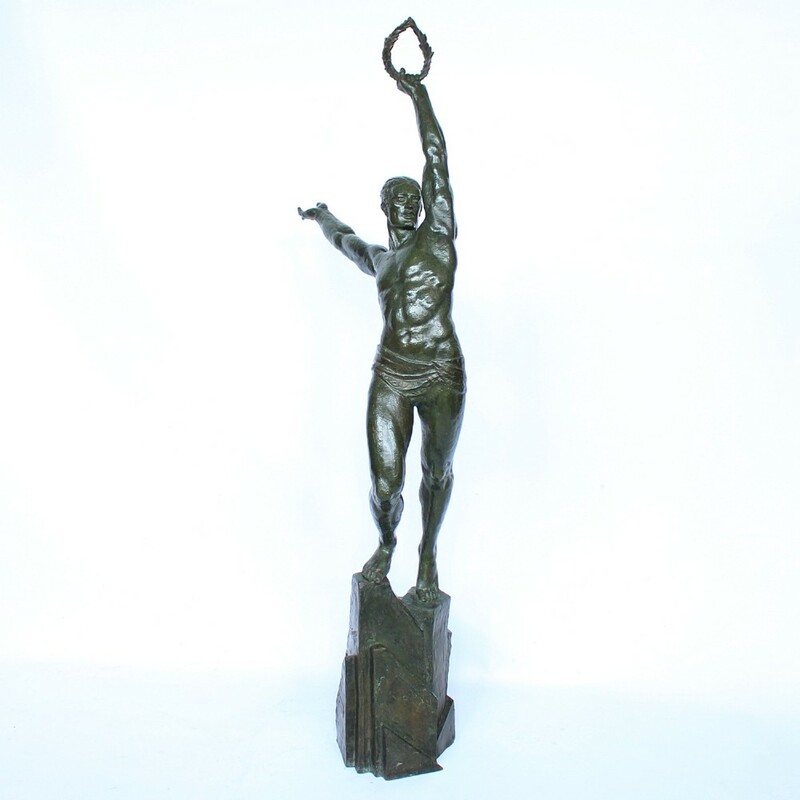 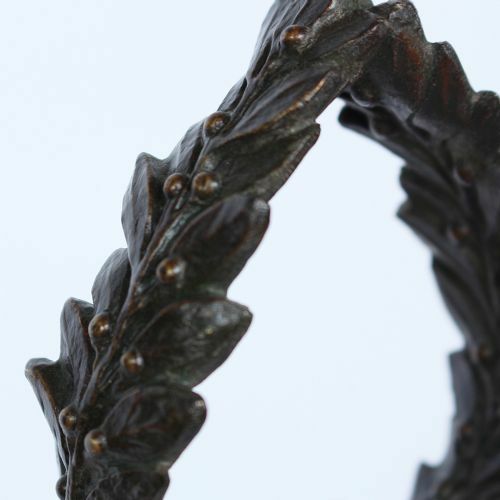 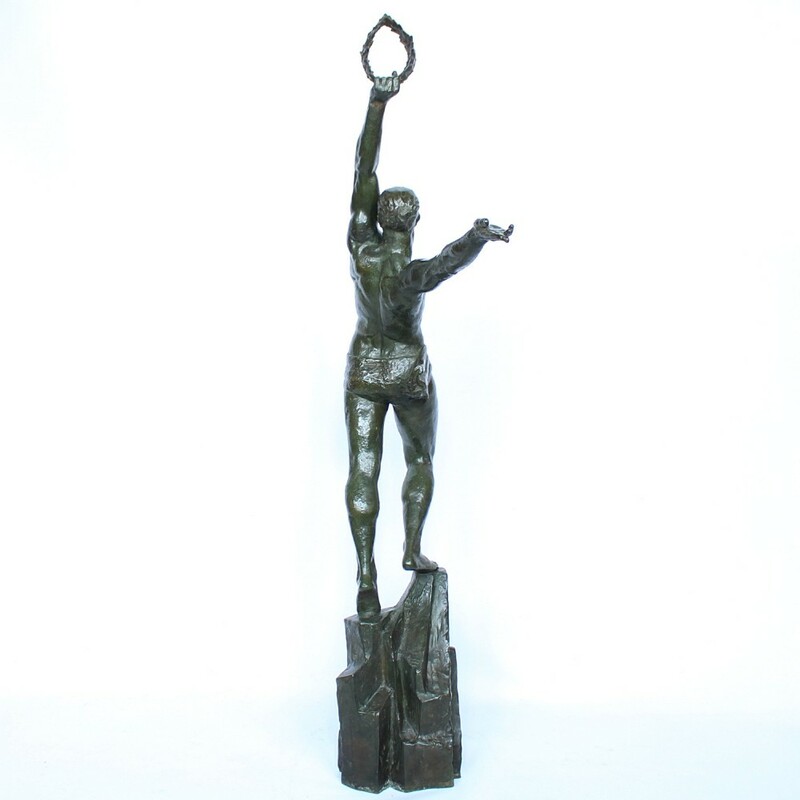 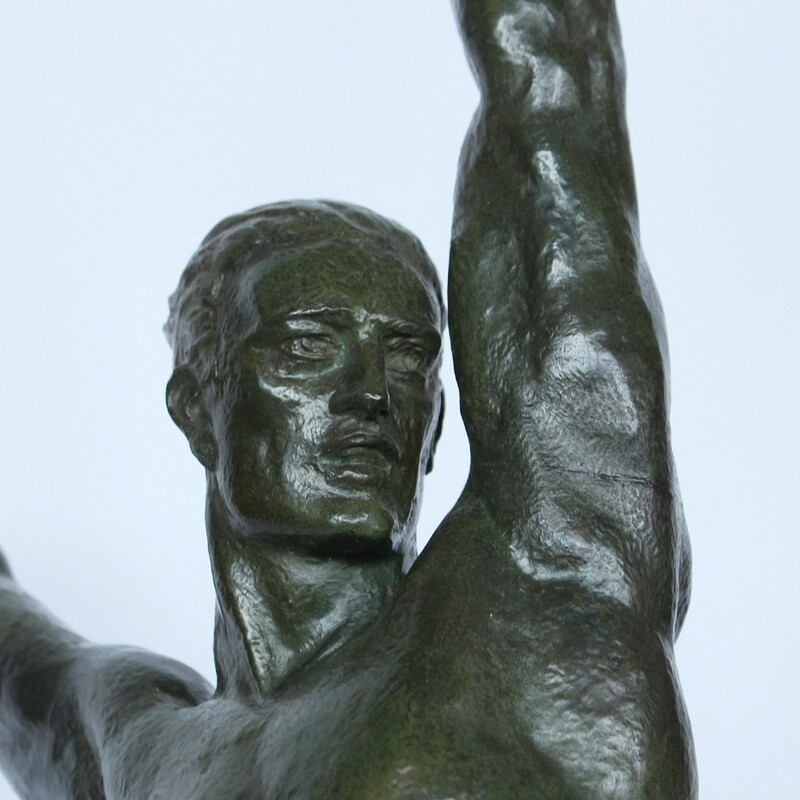 An Art Deco verdigris patinated bronze figure 'Olympian'. 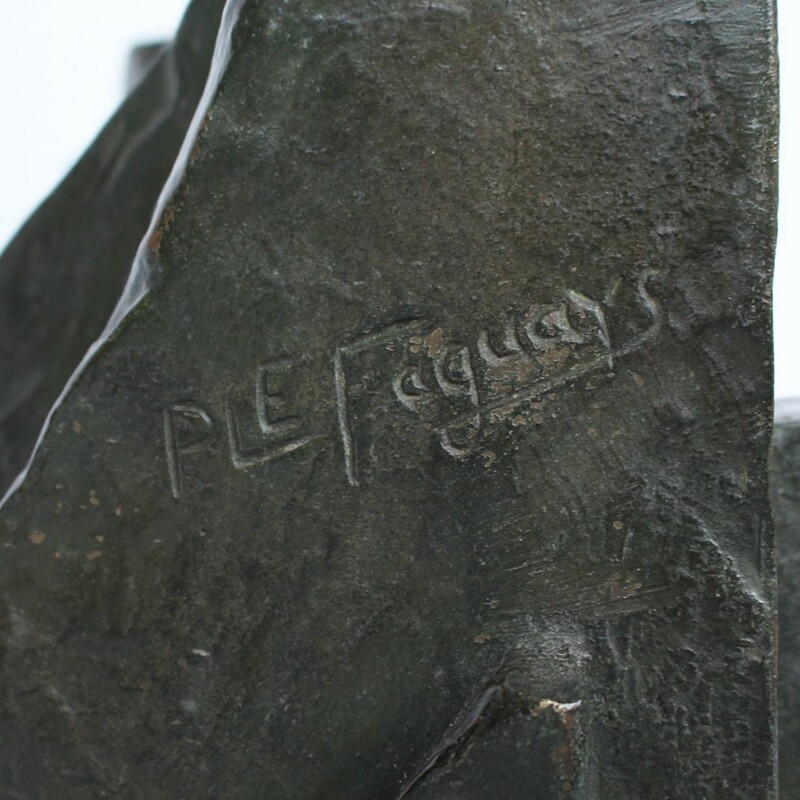 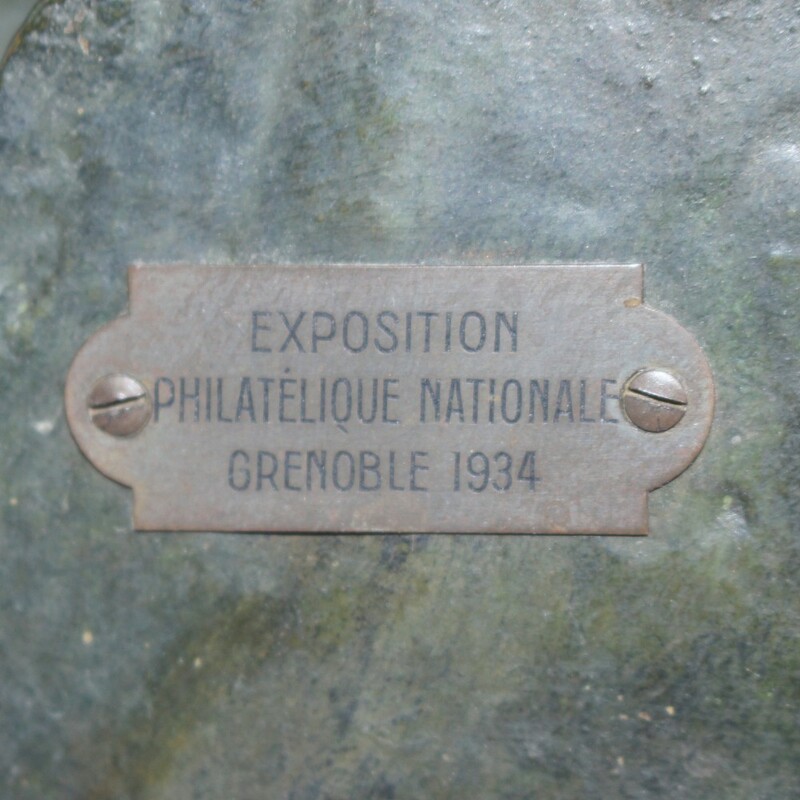 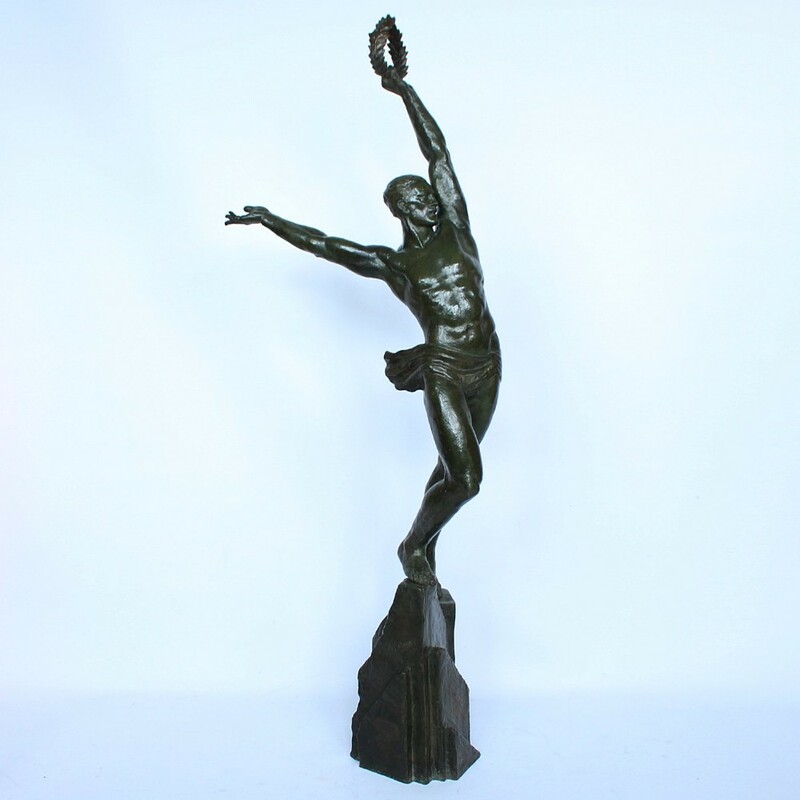 An athletic young man standing on a rocky plinth holding a victor's laurel wreath aloft, signed 'PLE Faguays' and applied with a metal plaque inscribed 'Exposition Philatelique Nationale Grenoble 1934'. 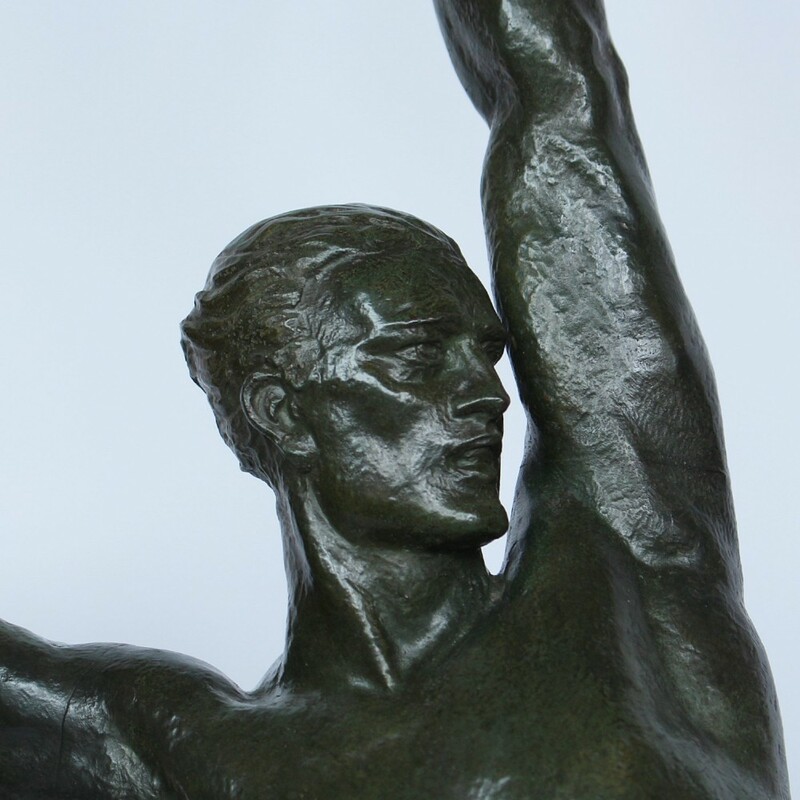 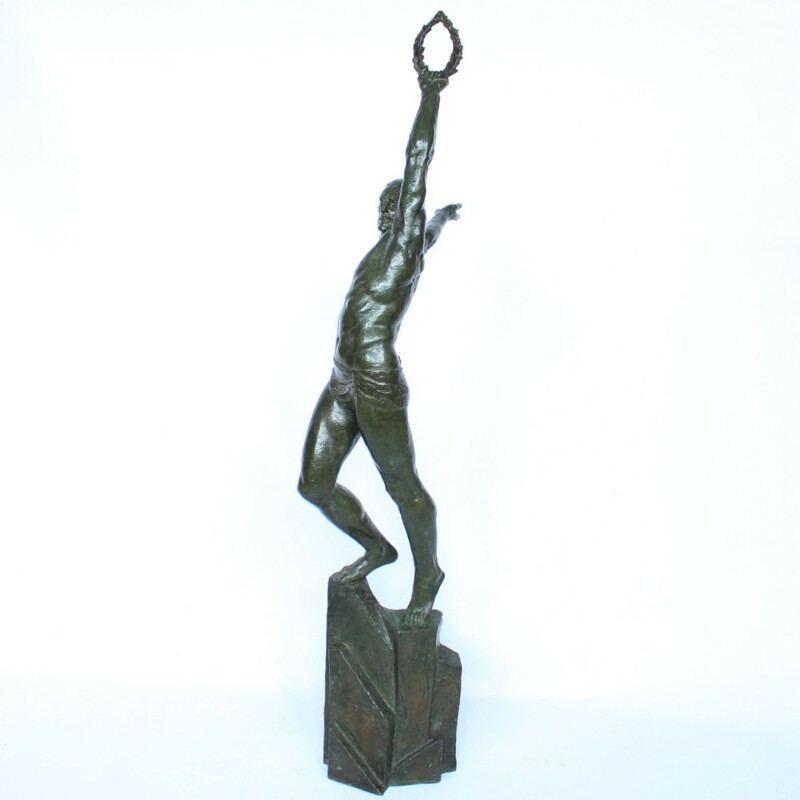 The 'Olympian' Art Deco Figure by Pierre Le Faguays c1930 has been added to your saved items.